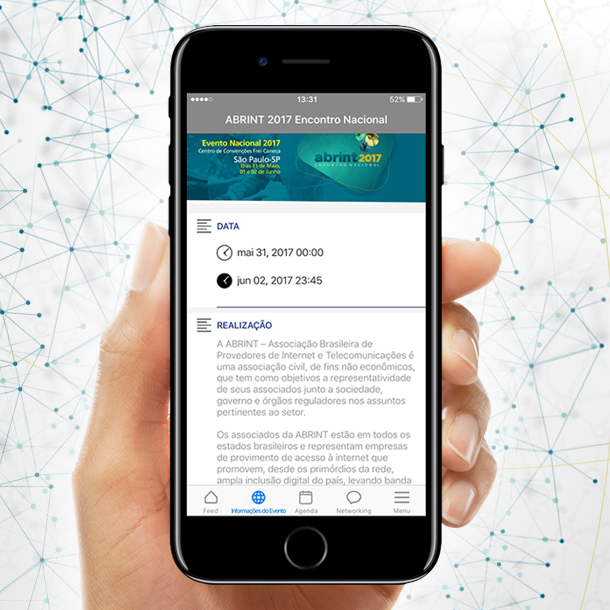 The success story of Abrint, its 5,000 participants and the largest event of regional providers in Latin America. 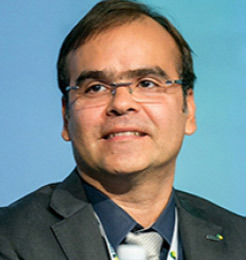 Abrint (Brazilian Association of Internet and Telecommunications Providers) is a civil society that has emerged to represent companies that provide access to the internet. Internet providers are responsible for digital distribution and inclusion in the country, bringing broadband internet to rural areas and cities, whether small, medium or large. The event took place from May 31 to June 2 in São Paulo. Abrint 2017 is the national meeting of all Internet providers in the country, which includes Abrint associates and several companies linked to the telecommunications and broadband niche. The event aims to engage, inform, guide and showcase new products aimed at the segment. The event app was developed and customized with the logo and colors of the event according to Abrint's needs. The app feed was used to share event news, information and messages, which allowed participants to interact with the event's speakers. The platform also facilitated for the organization of the event the management of the questions sent to the speakers. The access control was used for the entry and exit of the participants, ensuring with certainty that no participant without credentials could have access to the event. The system worked by reading the QR code on the badge of the participant. In addition, in order to promote engagement among participants who were present at selected lectures, the organizers used the list of people present in real time for sweepstakes. The accreditation was performed through the confirmation email or event app, using a secure and unique QR Code. For this event, 25 totems were used, which enabled the quick check-in of more than 5000 participants. Accreditation took less than 3 seconds for each participant, making the process fast, intuitive and without queues. The lead collectors were used to capture the data of the participants who visited the stands by reading the QR Code on their badges. By collecting the data, the system enables the exhibitor to qualify the lead with a score of 1 to 5 for the marketing / sales team to evaluate the quality of the leads captured after the event. Each exhibitor has the real-time data list by the app or can export the list in the event management platform. The organizers have the general statistics of which stands have been visited by each participant. The beacons were used to track which places the participants visited. 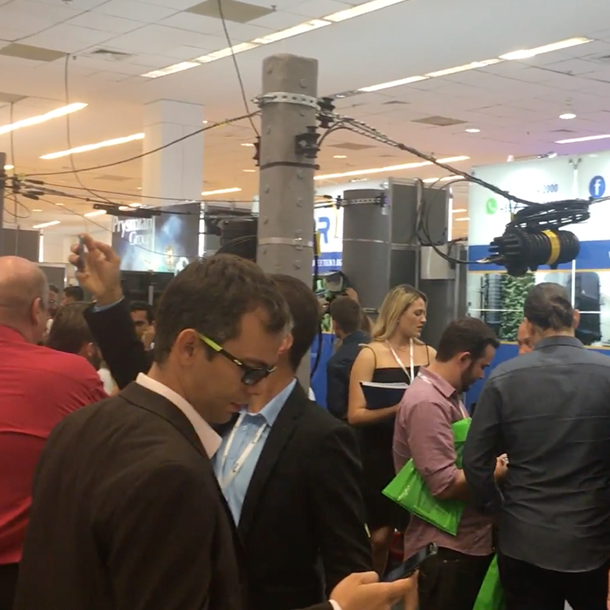 The devices accurately reported the participant's real-time location, which allowed exhibitors at the fair to send notifications via the app with promotions and new product information. In addition, the beacons aided in access control by reducing fraud risks. Another benefit was to report the average time each participant stayed at each stand. OnSite support is InEvent's full support, which includes pre-event alignment of operations, in-site support of the InEvent team during event days, and analysis of post-event statistics. 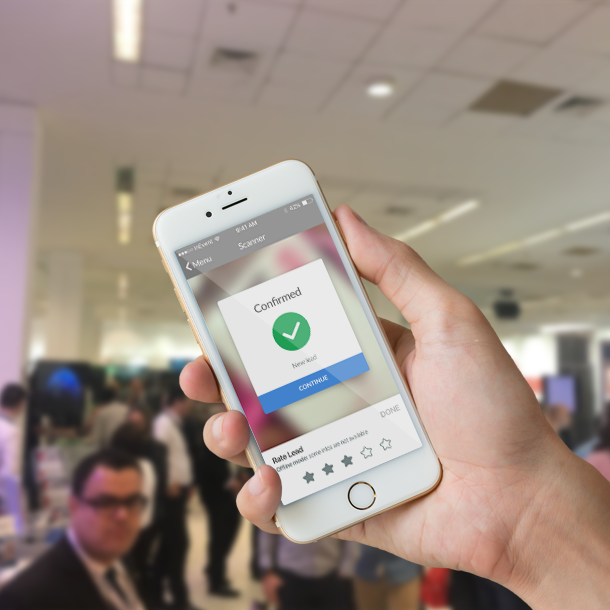 Our team was present to manage the use of the mobile platform, operate the accreditation during all stages and provide support for the event organizers with InEvent technologies. Abrint needed the API data integration with the site responsible for the sale of the tickets for the event. A customized system was developed for this data integration where Abrint was able to make all the updates it needed with ease and security. This integration made it possible to know the profiles of the event audience and, through the pre-selection of the leads, which participants were already clients / associates or which were paying guests. This was a clear use of the more than 500 operations available safely and efficiently at InEvent Platform. Abrint generated value for the participants in all stages of the event, adding benefits before, during and after the event. Before: the event app had a high rate of usage and downloads. These high rates are due to the numerous marketing actions to publicize the app before the event and the benefits of the application to the participants. During: automated enrollment of participants avoided queues and long waits. In addition to providing agility, accreditation also reduced labor costs by being 100% self-service. The use of beacons, access control and moderation in the mobile application were important points for the success of the event. After: the collection of leads during the event facilitated the collection of information for later contact with possible clients, creating an easy way of communication between exhibitor and attendee. 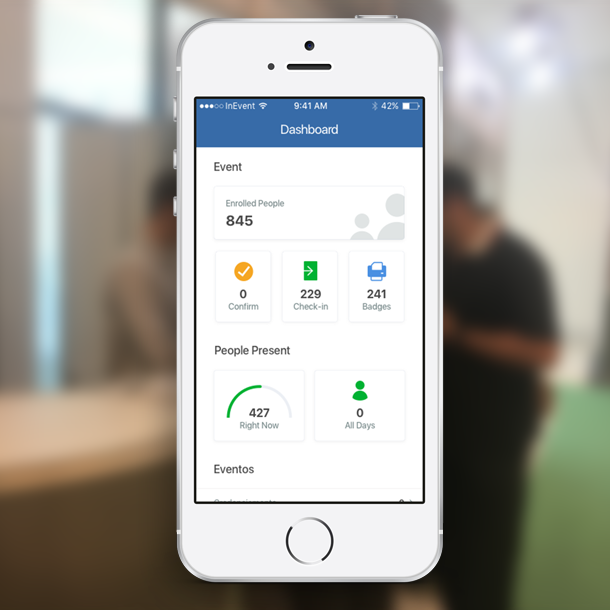 All of this data can be extracted from InEvent's event management platform, which accurately displays detailed information in both full reports and real-time statistics in the mobile app. Buscamos com a parceria com a InEvent um software que atendesse às expectativas do nosso evento. O evento foi um sucesso! Ficamos muito satisfeitos com o tempo de resposta do credenciamento, o suporte dado no local isso superou todas as nossas expectativas. Inclusive de interação durante todo o evento.